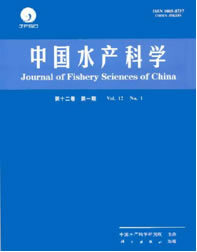 JOURNAL OF FISHERY SCIENCES OF CHINA (JFSC)，started in 1994， is an academic periodical (bimonthly, ISSN 1005-8737) sponsored by Chinese Academy of Fishery Sciences (CAFS). It covers the latest achievements, progress and techniques on basic and applied scientific research in fisheries, including fishery germplasm research, fishery resource conservation and environment protection, disease research and control, seawater & freshwater fishing, aquaculture and enhancement, freshening and processing of aquatic products, fishing vessels, fishery machinery and instrument, and so on. JFSC is one of the Chinese Core Journals and it is also the source journal of 'Chinese Scientific and Technological Paper Citations (CSTPC)' and 'National Scientific and Technological Paper Statistical System', and it has also been included in full in 'ChinajouralNet','China Science-CD (CSCD)','China Academic Journal Comprehensive Assessment CD' and 'ChinaInfo'. Its articles are abstracted or indexed in 'Chinese Fishery Abstracts', 'Chinese Fisheries Document Data Base', and some international retrieval systems and specific data bases such as 'Aquatic Sciences and Fisheries Abstracts (ASFA)','РЖ(AJ)''Oceanic Abstract (OA)', 'Chemical Abstracts (CAS)', 'Zoological Record (ZR)' and 'Cambridge Science Abstracts'. In 1998, JFSC was awarded the First Prize of Chinese Fisheries Newspaper and Periodical. In 2000, it was awarded the Excellent Prize in the first evaluation of Chinese Academic Journals (CD) for its standard retrieval and data. In 2004, JFSC got the award of “One-hundred Excellent Academic Journals of China”. JFSC is an internationally exchanging periodical and is available freely to the international information retrieval systems.